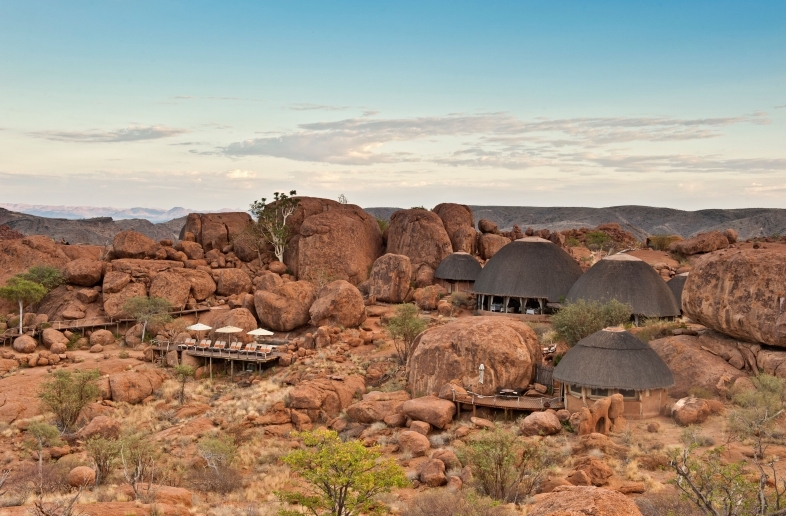 The slopes above Twyfelfontien are littered with large rock slabs containing the largest gallery of Stone Age rock art in Namibia. The area is a national monument and Monuments Council has laid out two circular routes from visitors area. Some rock slabs have as many as 70 engravings. There are more than 2 500 recorded engravings in the area. The artists painstakingly chiselled and etched images of lion, with unusually long, L-shaped tail and with spoor instead of paws; rhino, and flying abstract figure, dubbed the ‘Dancing Kudu’. Surrounding the kudu are numerous abstract shapes – circles, some concentric, other with dots or rays. In contrast with many of the other petroglyphs that have a rough texture, this engraving was rubbed and polished to give it a shiny appearance. Different techniques, such as cutting the outline and chiselling away rock and scratching only the outline, were used. The most commonly depicted animals are giraffe, ostrich, zebra, and rhonoceros, while unidentifiable antelope account for almost a quarter of the gravings. Gemsbok and springbok are depicted in 67 and 34 engravings respectively, while there are 383 animal spoor. Abstract patterns, handprints, foot prints and other engravings related to humans account for nearly 15% of the engravings. Although the engravings have not been dated, it is estimate that they are at least 6 000 years old and cover six different periods. Twyfelfontein become a national monument in 1952, though it did not recieve formal protection until 1986 when the Minister of Environment and Tourism designated the site as a natural reserve. Unfortunately, many petroglyphs were damaged by vandals during the interim, and some were removed altogether. 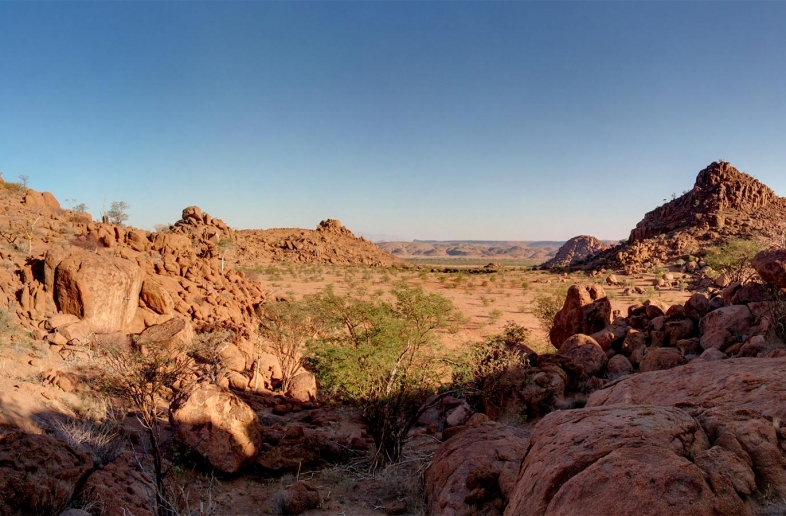 Twyfelfontein is managed as a community tourism project and to ensure that the engravings are not defaced or damaged, a guide must accompany visitors.